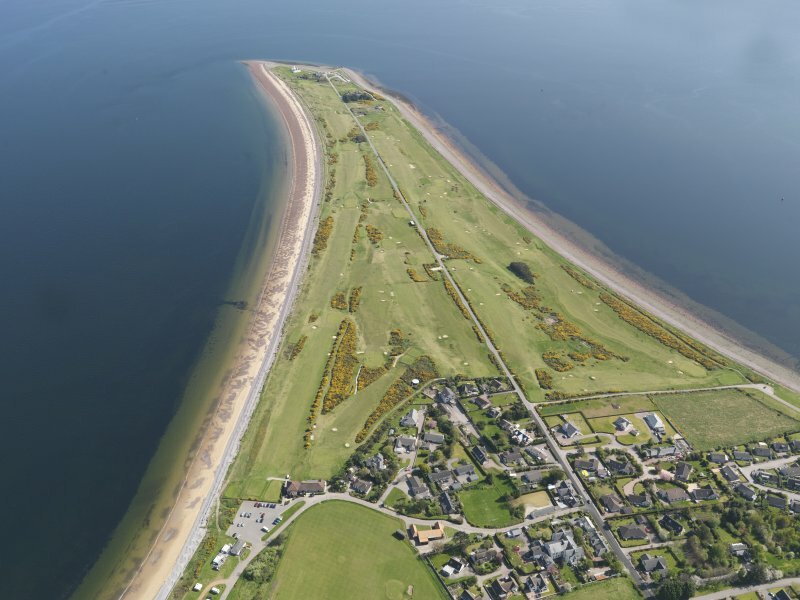 Oblique aerial view of Fortrose and Rosemarkie Golf Course, taken from the NNW. 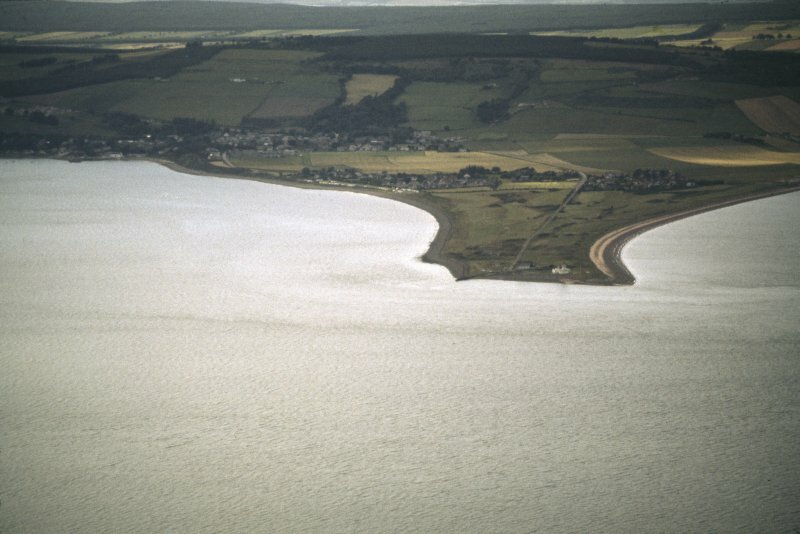 Oblique aerial view of Fortrose and Rosemarkie Golf Course, taken from the NW. 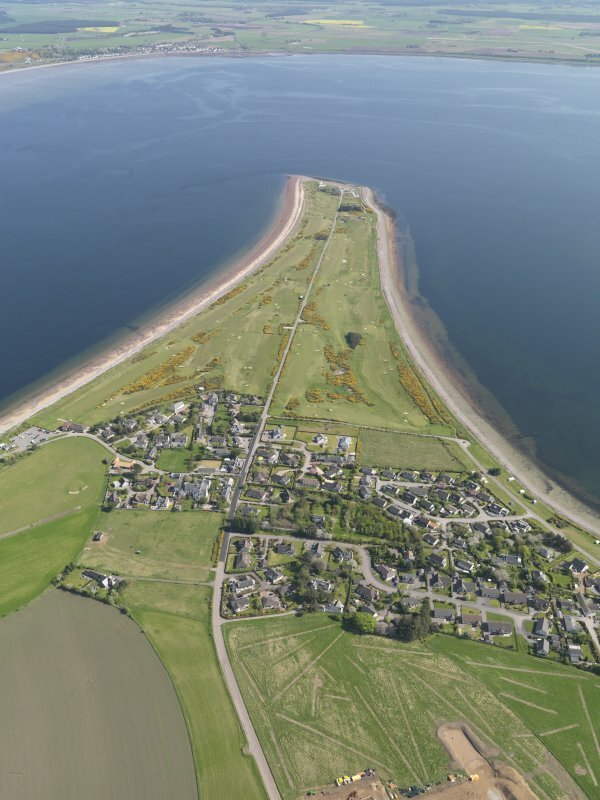 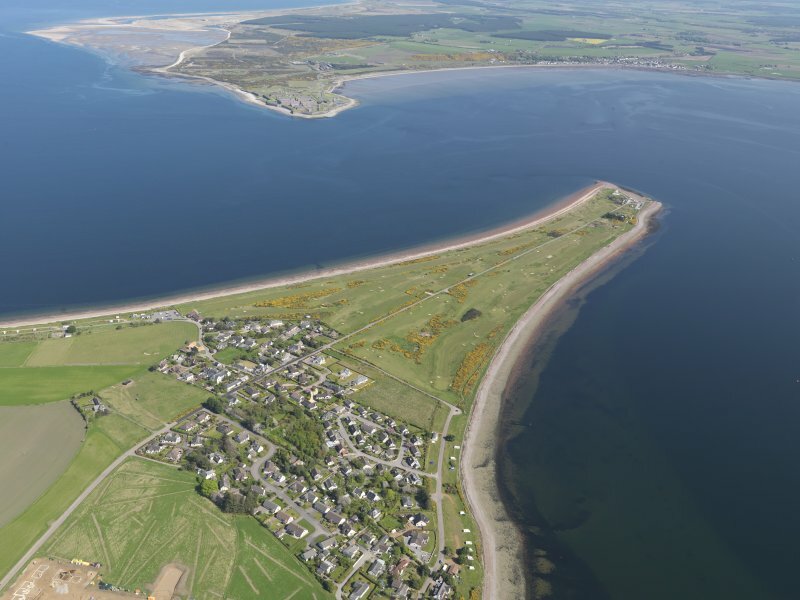 Oblique aerial view of Fortrose and Rosemarkie Golf Course, taken from the WSW. 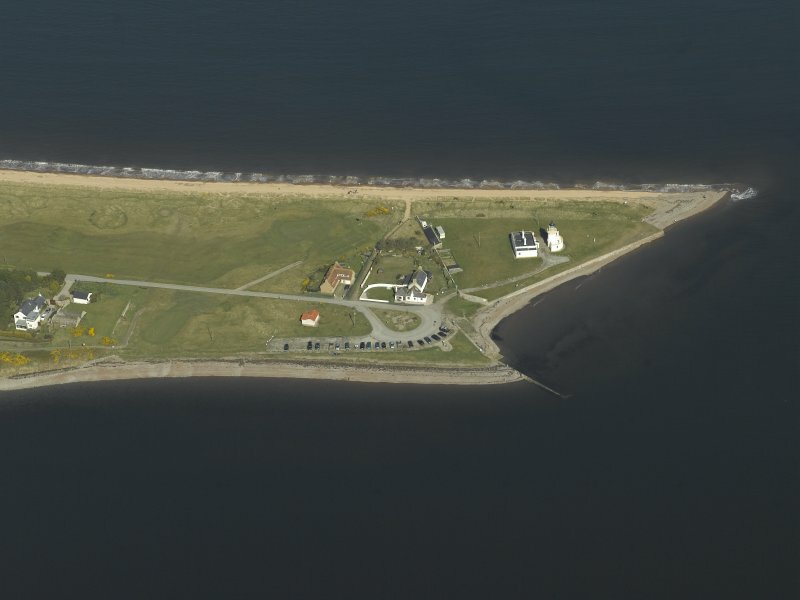 Oblique aerial view centred on the lighthouse, cottages and ferry house, taken from the SE. 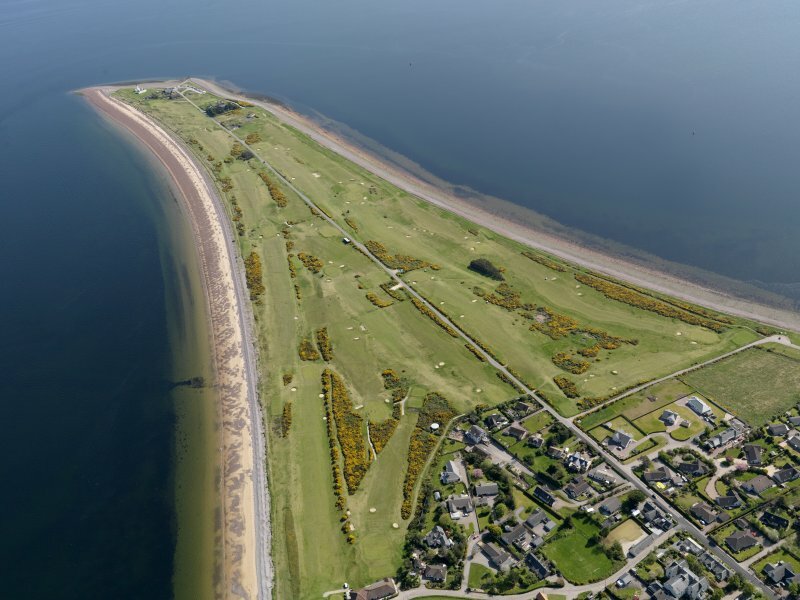 General oblique aerial view of Fortrose and Rosemarkie Golf Course, taken from the S.
General oblique aerial view of Fortrose and Rosemarkie Golf Course, taken from the SW.
Oblique aerial view of Fortrose and Rosemarkie Golf Course, taken from the WNW. 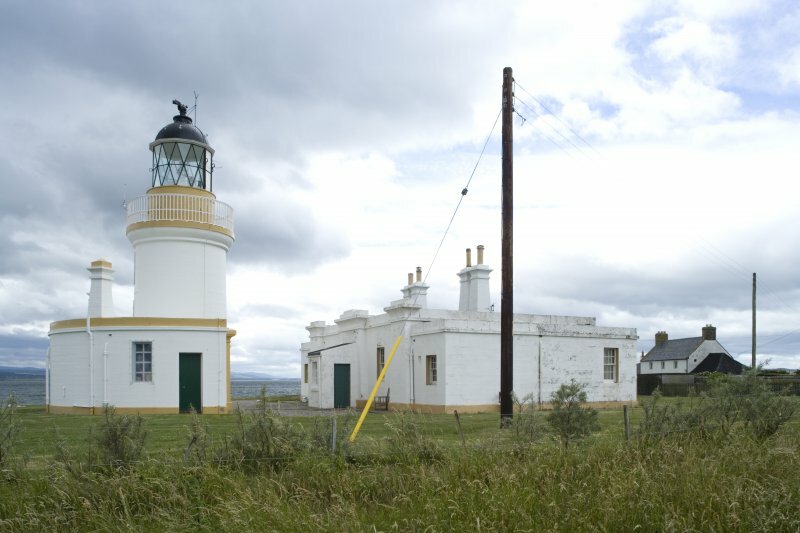 View of Chanonry Point Lighthouse from North East. 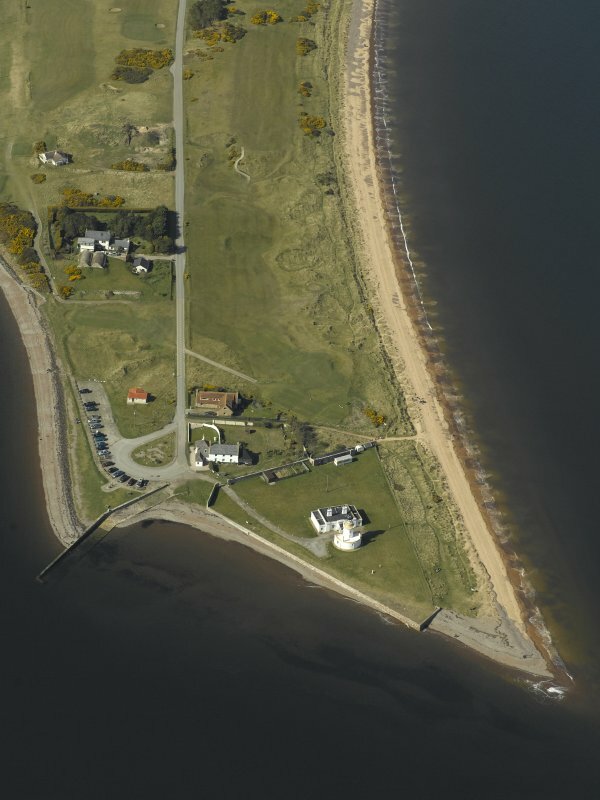 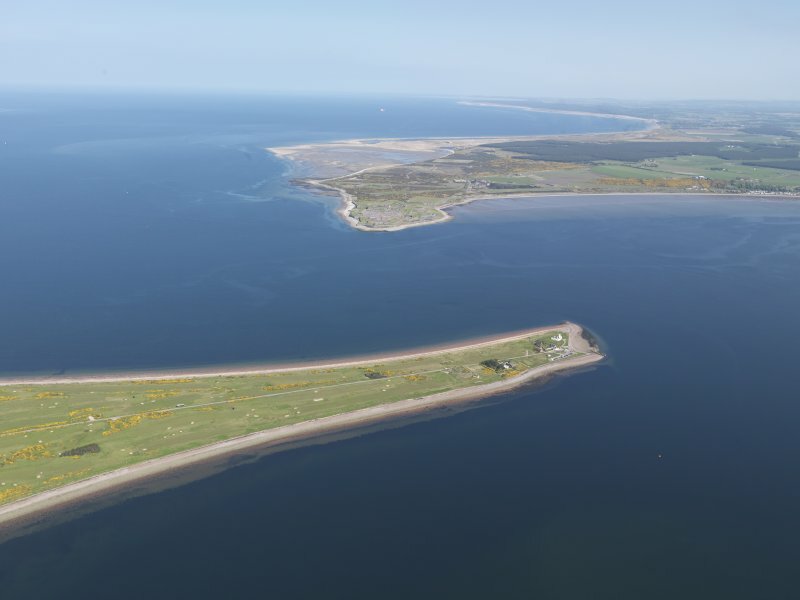 Oblique aerial view centred on the lighthouse, cottages and ferry house, taken from the SSE. 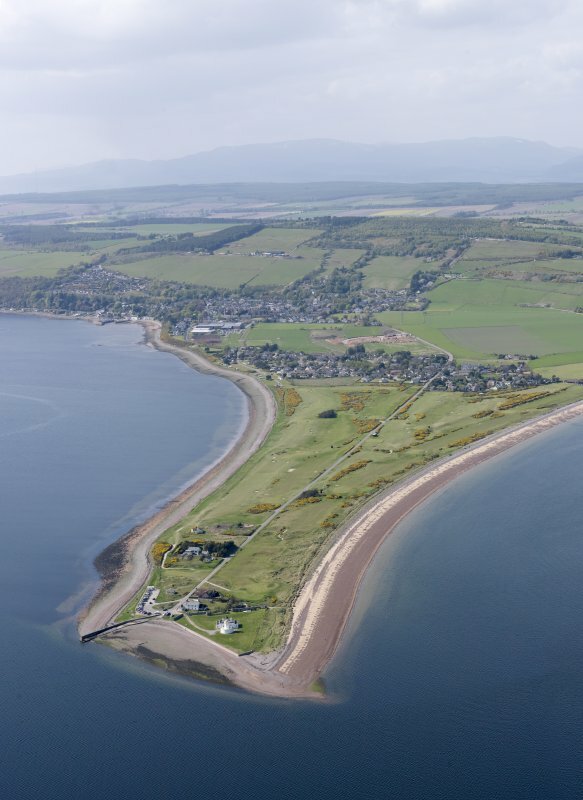 Oblique aerial view centred on the lighthouse, cottages and ferry house, taken from the SW.
General oblique aerial view of Fortrose and Rosemarkie Golf Course, taken from the W.
General oblique aerial view looking towards the lighthouse with the cathedral and churches in the foreground, taken from the W.
Oblique aerial view centred on Chanonry Point Lighthouse, cottages and ferry house, taken from the S.
For nearby Ferry Pier (NH 74876 55638) and icehouse (NH 74716 55744), see NH75NW 52 and NH75NW 55 respectively. 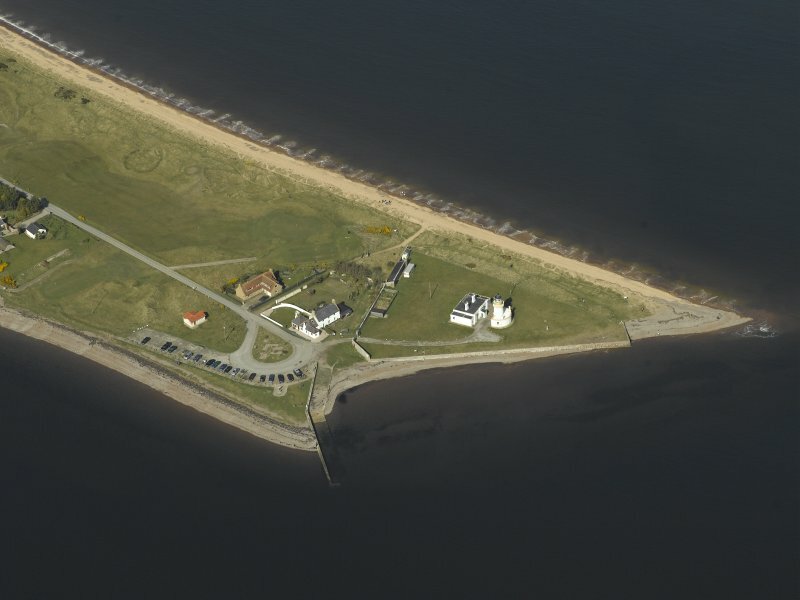 (Location cited as NH 749 558). 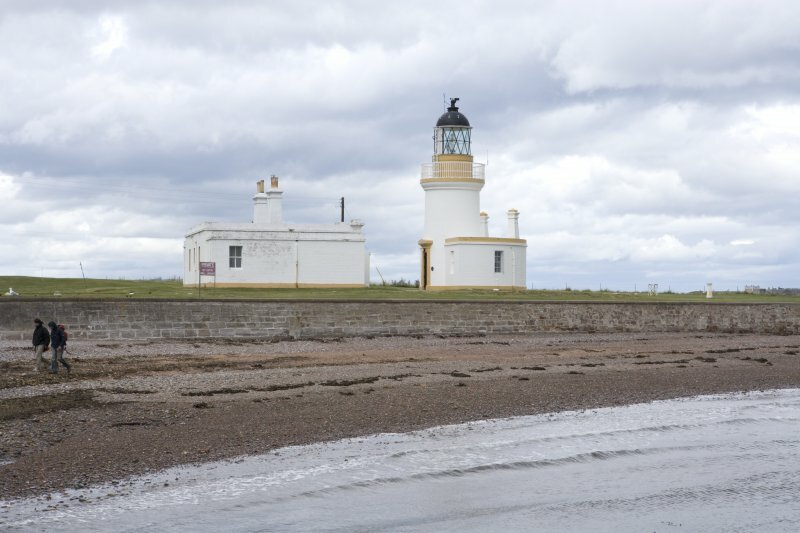 Chanonry Lighthouse, built 1846, engineer Alan Stevenson. 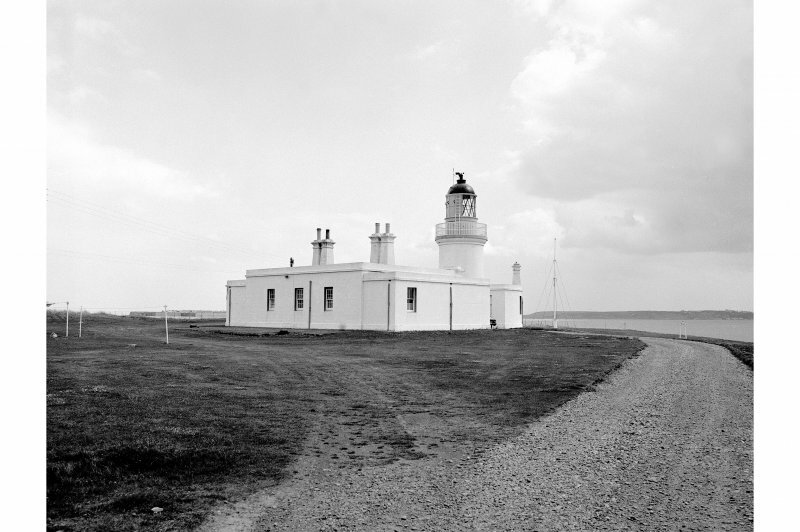 A typical lighthouse of the area, with a short circular tower on a semi-circular single-storey base and a circular triangular-paned lantern with a domed top. 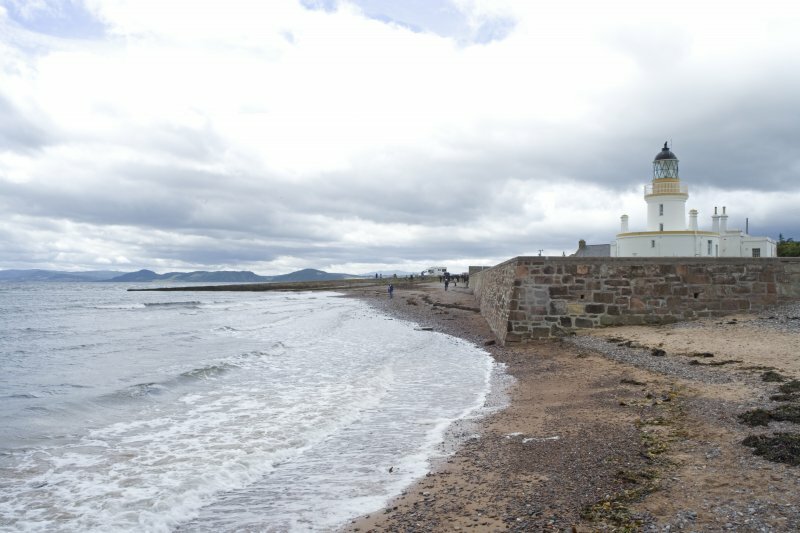 The single-storey keepers' houses are Egyptian in style. 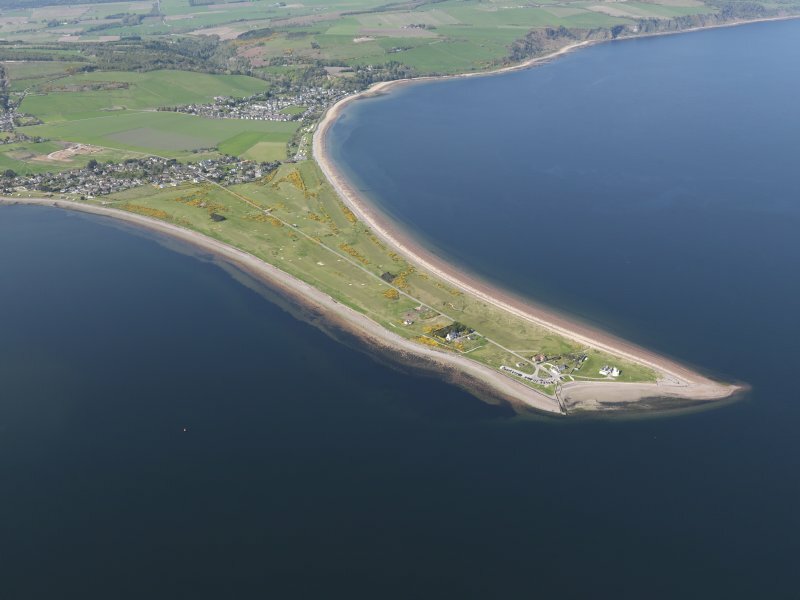 Chanonry: major automatic light. 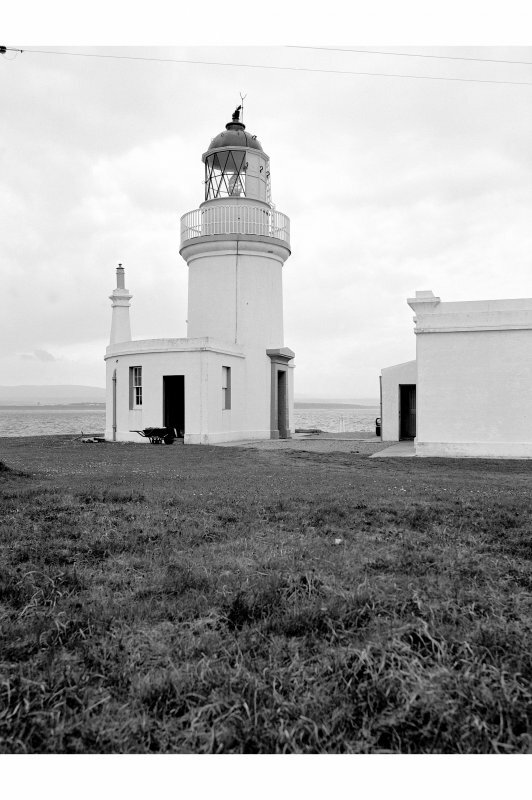 Lit 1846; automated 1984. 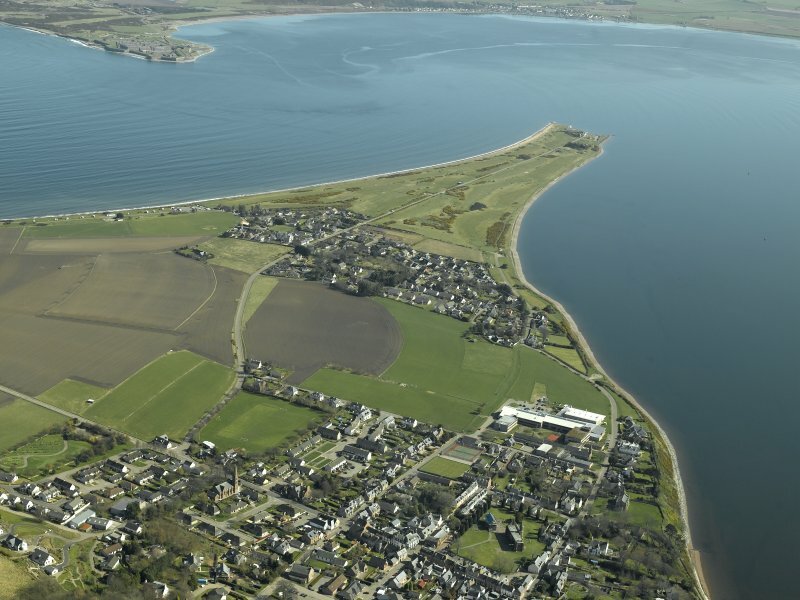 Position: N57 34.5 W4 5.4. 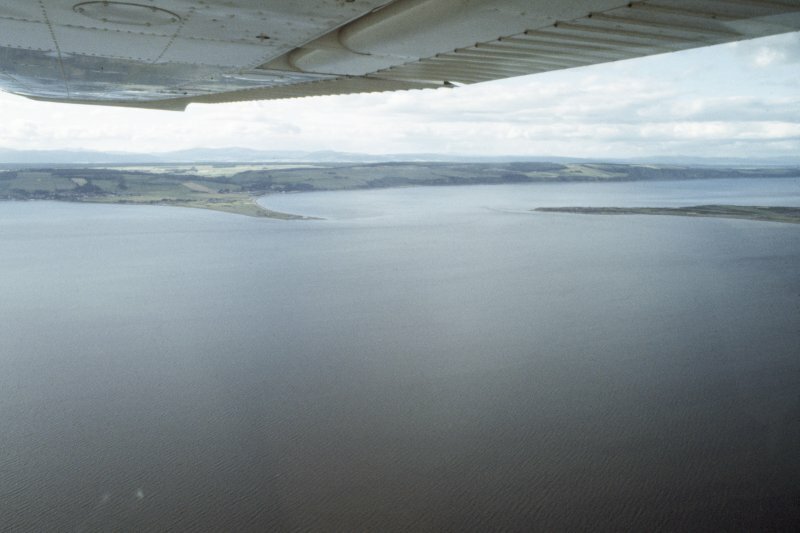 Characteristics: occulting white every 6 seconds; nominal range 15 miles. 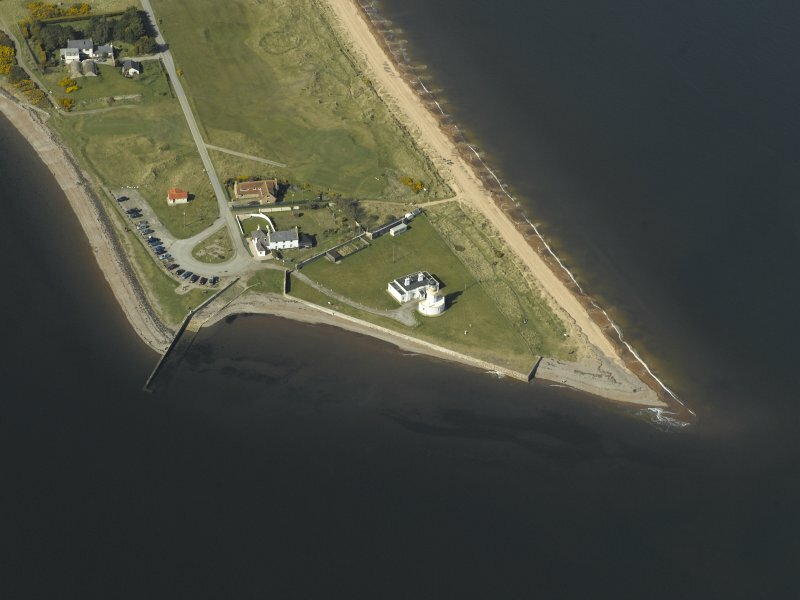 White tower, 13m high, of architectural and historical interest. 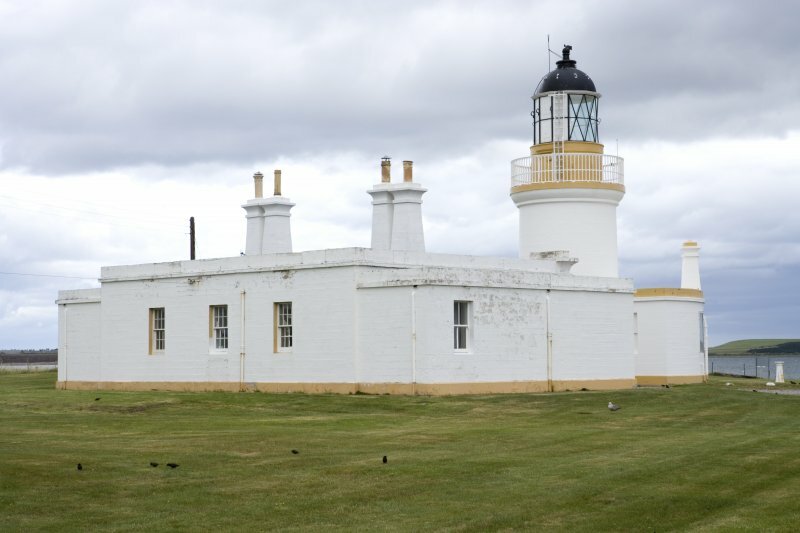 This lighthouse was built in 1846 adjacent to the pier for the ferry across the Moray Firth from Fort George at a cost, including the light-keepers dwellings, of £3570. 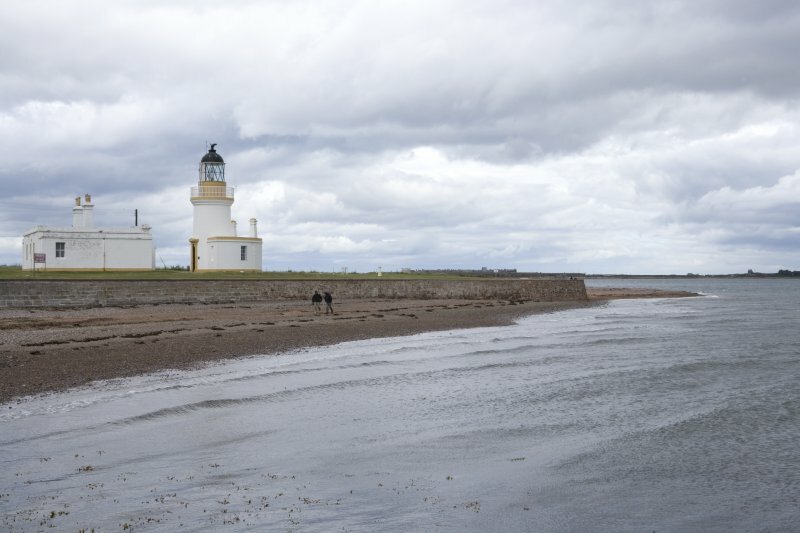 Its tower is 43 ft high and similar in appearance to nearby Cromarty Lighthouse. 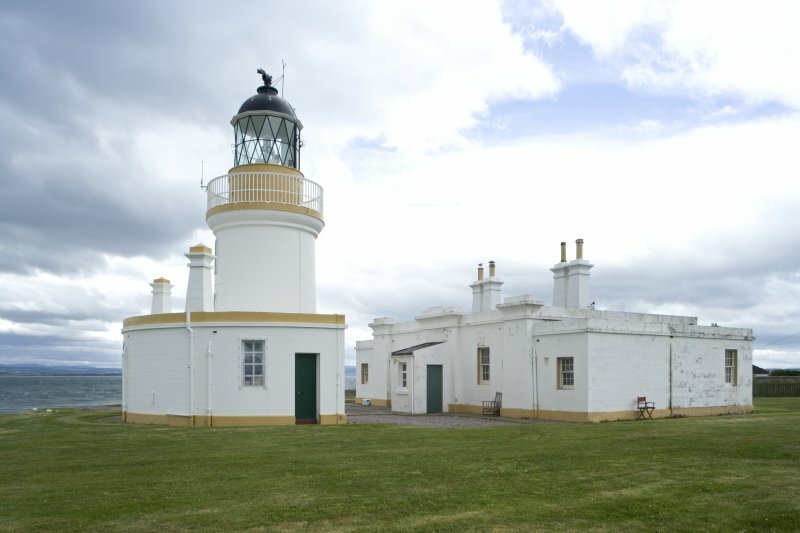 Both lighthouses were designed with revolving lights by Alan Stevenson, engineer to the Northern Lighthouse Board, and Chanonry Lighthouse exhibits his innovation of a stronger lantern in bronze with inclined astragals which minimised obscuration of the light beam. 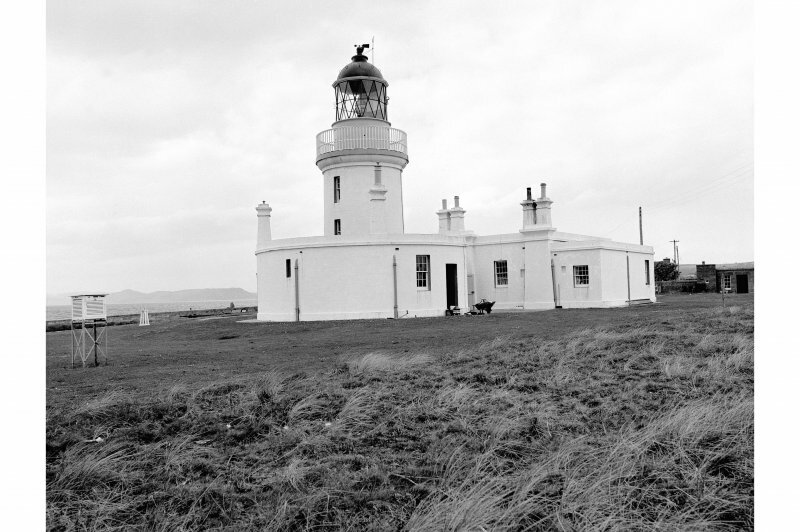 The station was automated in 1984.